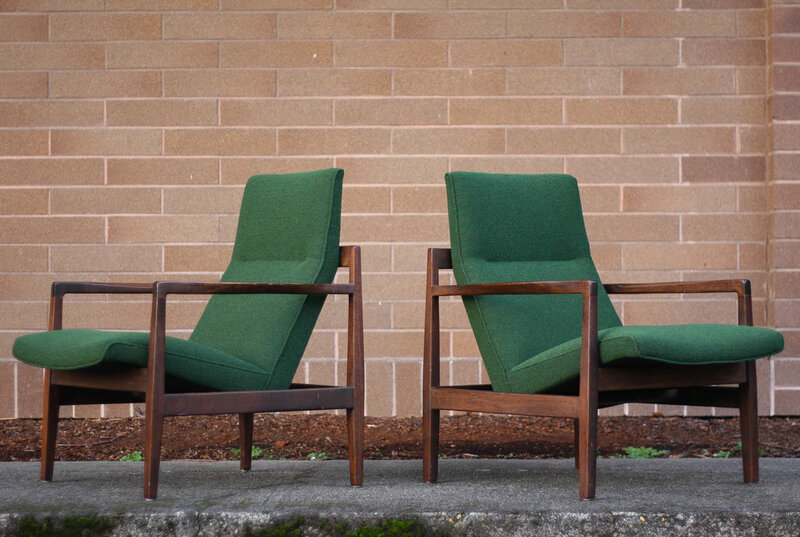 Special pair of chairs designed by the infamous Jens Risom. Made from solid walnut with signature angular details. Generous proportions and a higher back mean comfort for all body shapes and heights. 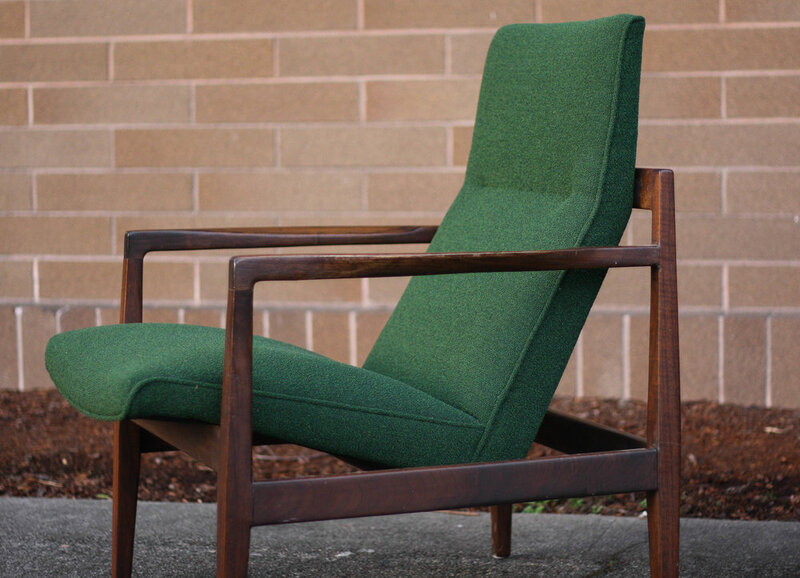 Newly upholstered in forest green boucle fabric. All new foam, batting, and straps ensure decades of future use. Minor wear and signs of use to solid walnut frames as expected with any vintage piece. We personally do not feel like the frames should be refinished as they show very well as noted in the photos.